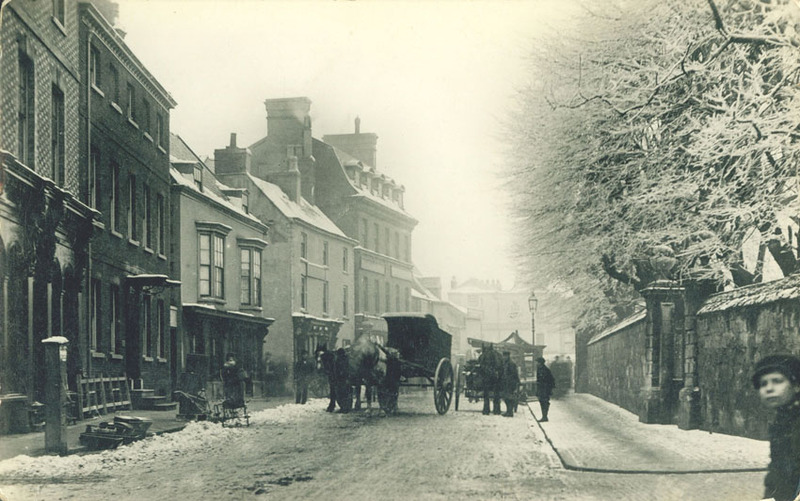 A wintry view along Sherrard Street looking towards Market Place. The building on the left will become the Post Office, but is still a private house. Next is CS SMith grocers, and then Lamberts Lane, which ran down to Burton Street. The building on the other side of the lane was later demolished, creating today’s Burton Street junction. Approx date: 1885. Image ref: MM0203.